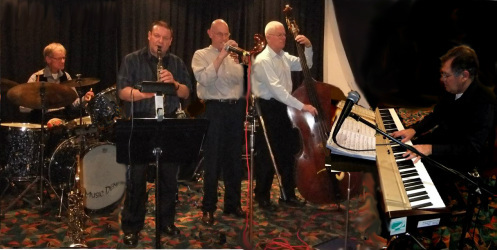 Formed in 1993, the club has provided traditional jazz to many jazz lovers in the Latrobe Valley and beyond. Most of Victoria's leading jazz musicians in that time have played at Moe, as have a number of leading interstate musicians. In recent years, the club has attracted many new members and is continuing to provide traditional jazz successfully. The website has been devised to bring you accurate and up to date information on the Moe-Latrobe Valley Jazz Club, as well as on the jazz scene generally. I am sure that you will find this site both interesting and informative.